Brett Johnson of Circle270Media fills in for Michelle to host a quick chat with John from Total Quality Logistics at Grandview Digfest 2018. 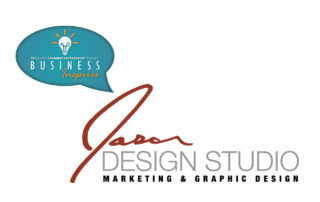 The 17th episode of our Business Inspires podcast features Jason Willis of Jason Design Studio. Jason has worked with the chamber for years, even before it existed as we know it today. Years ago, he put together the first full-size directory for the Grandview and Marble Cliff Chamber, which was nationally recognized as a standout directory for our size of community. How working in advertising sales helped him get a feel for design. Constantly learning and taking classes in a range of disciplines. Taking the big leap to start your own company. This is a great episode full of insights about pivoting careers, starting out on your own, and managing clients and workload. Stream the episode above (and find more ways to listen below). 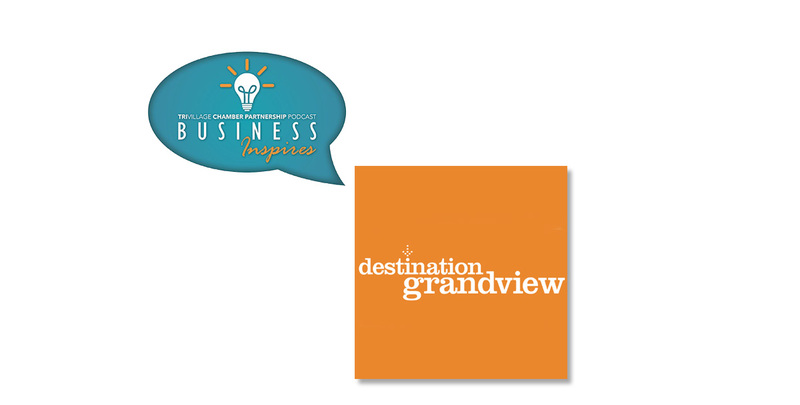 The 16th episode of our Business Inspires podcast features Brian Cheek, executive director of Destination Grandview. 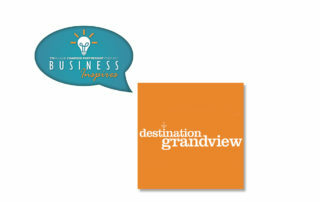 Destination Grandview promotes tourism in the Grandview Heights area. 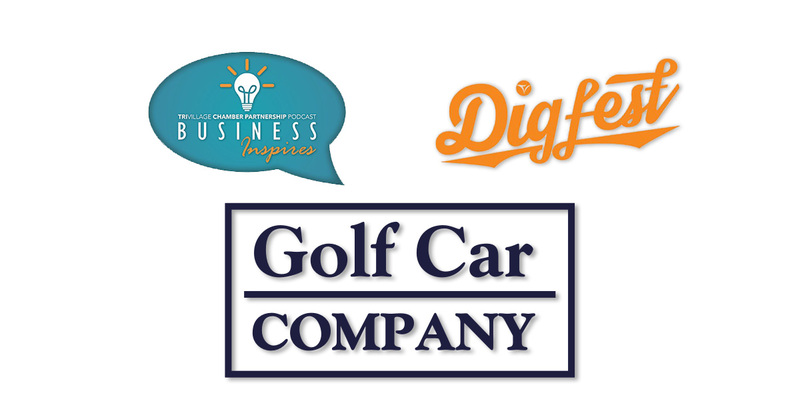 They boost restaurants, breweries, businesses, and other attractions with a variety of marketing tactics including events and partnerships. Brian worked with a wide range of organizations in Columbus, including the Ohio History Connection, Wexner Center for the Arts, Experience Columbus, Columbus Dispatch, and more. What makes Grandview a vibrant tourism destination. The importance of local partnerships. How to package attractions so they can be discovered. Branding an area to visitors. Listen to find out what’s coming up next for the Grandview area as growth and development continues! Thirsty for startup stories and entrepreneurial insight? The 15th episode of our monthly Business Inspires podcast features Mark Tinus of Revolution Experiment. 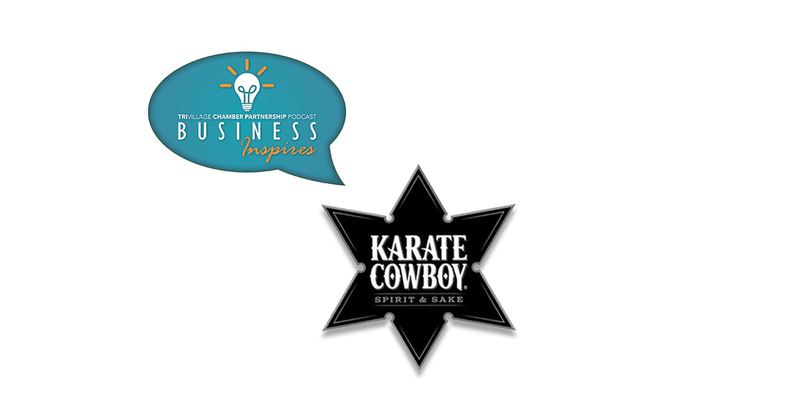 Revolution Experiment is the company behind Karate Cowboy, a line of sake and grain alcohol blends with a range of flavors, and Simple Times all natural cocktail mixers. Mark talks with us about building networks, predicting consumer tastes, and what he learned with global companies. Starting off with a career in big beer. Travelling the world working in marketing strategy and consulting. Learning from markets outside of the US. Coming back home to Columbus after years away. Working on the same ideas he had seen shot down in larger companies’ innovation departments. Studying acculturation to predict and embrace consumer trends. 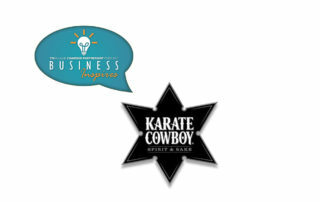 Find Karate Cowboy near you, we recommend a Bloody Mary with the Honey Wasabi! And check out where Simple Times Mixers are sold to make your next cocktail party way simpler. Stream the episode above (and find more ways to listen below) to learn about growing a tasty business in the Tri-Village area. 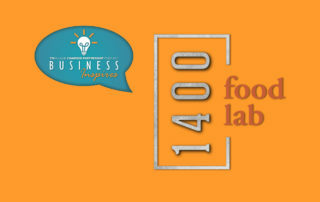 Want to learn about launching a successful gourmet food brand? 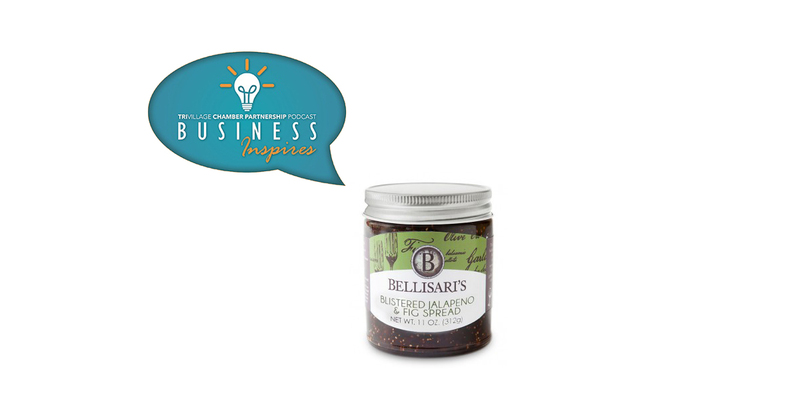 The 14th episode of our monthly Business Inspires podcast features Annette Bellisari and Jim Miller of Bellisari’s. 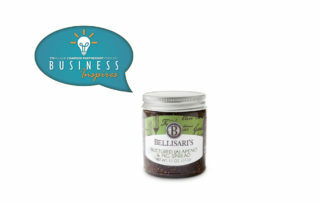 Annette and Jim started Bellisari’s after working together for another food company. Their line of products includes gourmet spreads and sauces with bold flavor combinations such as Blistered Jalapeno & Fig. Bellisari’s officially launched two years ago. Now their products can be found in stores around Ohio, and even in Indianapolis, Kansas City, Dallas, and more. Look for them in specialty wine shops! Annette’s track dreams and how starting a business is long distance, not a sprint. The importance of gourmet convenience for a busy life. Balancing family life while building a startup business. How to niche your brand in the food industry. Developing recipes, running focus groups and narrowing down ideas. Jim and Annette even learn a bit about each other during the interview! And of course find out where you can purchase Bellisari’s products in your area with their store locator. 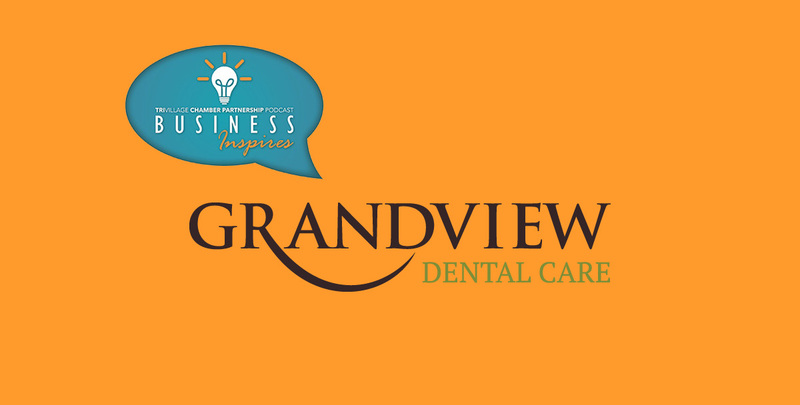 The 13th episode of our monthly Business Inspires podcast features Dr. Bill Thompson and Becky Thompson of Grandview Dental Care. Grandview Dental Care is located on Grandview Ave in a cozy spot just one block north of 1st Avenue by the hopping retail district. The practice is approaching its 40th year since opening in 1978. Keeping up with dental technology advancements. The life changing effect that good dental health can have. The differences in starting a practice today vs. 40 years ago. Building his own plane and his penchant for problem solving. Becky Thompson joins in to discuss the importance of community for small businesses and having fun while marketing a dental practice. Stream the episode above to hear the Thompsons talk about their time as an institution in Grandview Heights. 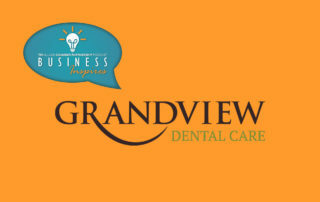 And of course find out more about Grandview Dental and visit them at 1220 Grandview Ave. The eleventh (!) 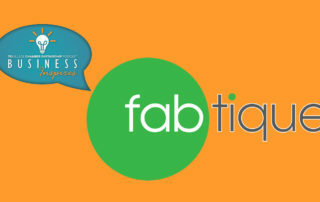 episode of our monthly Business Inspires podcast features Amber Wilson of Fabtique. Fabtique is a clothing boutique in Upper Arlington, and our 2017 Membership Drive grand prize winner. Fabtique was founded after Amber and business partner Pat Barker both ran into problems finding a specific niche in the fashion retail market in Columbus. I knew I wanted to get into something, start from the ground level and work my way up. You go with your gut instinct. whether you want to call it fate, whether you want to call it intuition, you go for it. We just said ‘let’s sit down and see where this takes us’ and it kept taking us to these great places. We wanted to get brands you cannot find in Columbus. It forces us to find new stuff. We can also have local artists and designers… ultimately, Fabtique is going to be what our neighborhood and what our customers like and what they want to shop. You cannot be afraid of failure… or asking help from people, not being afraid to say ‘this isn’t my strong suit can you help me with this?’ or ‘I’m going to reach out and talk to this person’ or sitting down and saying ‘I need to do some research.’ Some challenges are just time based. Realize this is a short term issue, it’s going to get resolved, and you move forward. 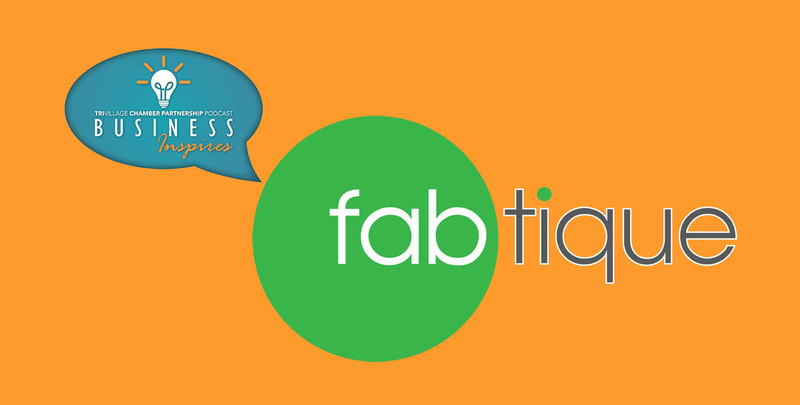 Listen to the full episode of Business Inspires to hear Amber discuss opening Fabtique, responding to the community and going into business with a friend. Stop by Fabtique in the Shops on Lane Ave! 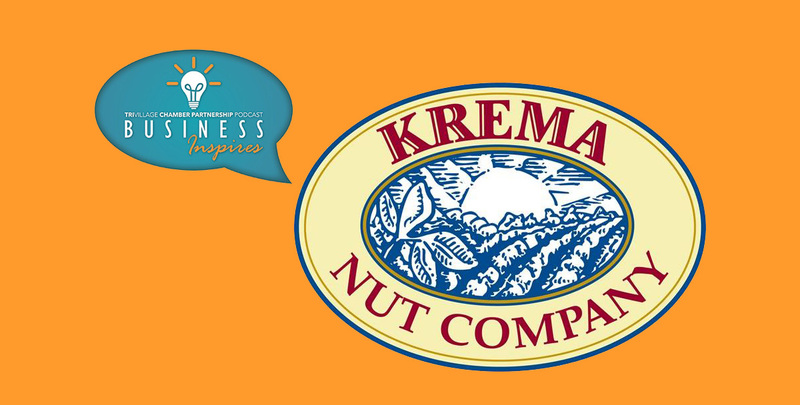 The tenth episode of our monthly Business Inspires podcast features Brian Giunta, owner of Krema Nut Company. To run a successful business, you need resources, valuable connections, and community recognition. 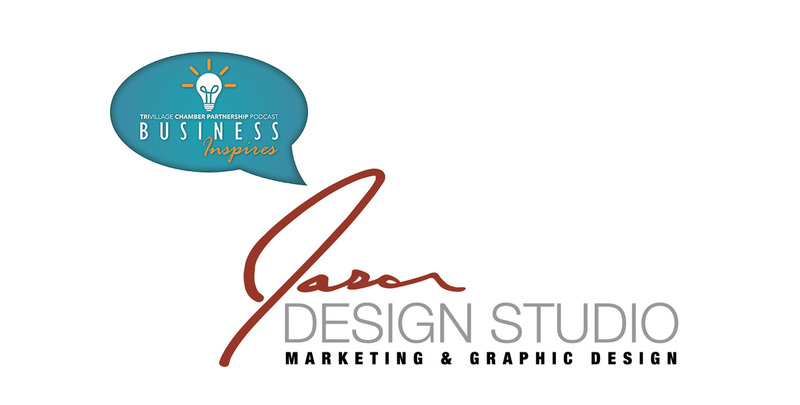 This podcast will provide you with the inspiration to create the business that you envision. 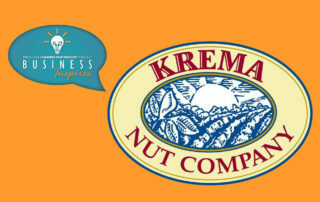 In the decades since Giunta’s family purchased the Krema Nut Company, it has been been featured on The Food Network and in other national media. The company even appeared on Mr. Rogers’ neighborhood. After years of working at Krema over holiday breaks, into college, and in the years since, Giunta continues the tradition of quality at this family-owned business. I talked to my parents about future growth, opportunities, the direction of the company… It was right when the internet was taking off, and what I really wanted to do with computers wasn’t there yet. I had an opportunity to build a website and start the e-commerce division for Krema. 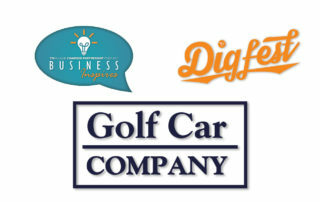 All of our business is word of mouth. We’ve built a fairly good following… Right around now through December 25 we’ll do about half of our whole year. We have folks in California that will pay $40 in freight to get the case of peanut butter. And I suppose things are a little more expensive in California… I know we’re not the only natural peanut butter maker out there. We are one of the oldest, and I still think the best. Go in like you mean it, work like you mean it, make the best product. We always try to keep coming up with new products…keeping that fresh perspective. My grandpa always said the harder you work the luckier you get. It’s awesome hearing compliments like “we love your product” or “we had x, y and z and it was delicious.” There’s so much pride. We roast every sort of nut you can think of. Whatever the best type of nut that you can buy is what we want to sell. If it’s not awesome, it doesn’t come in the building or on the shelf. 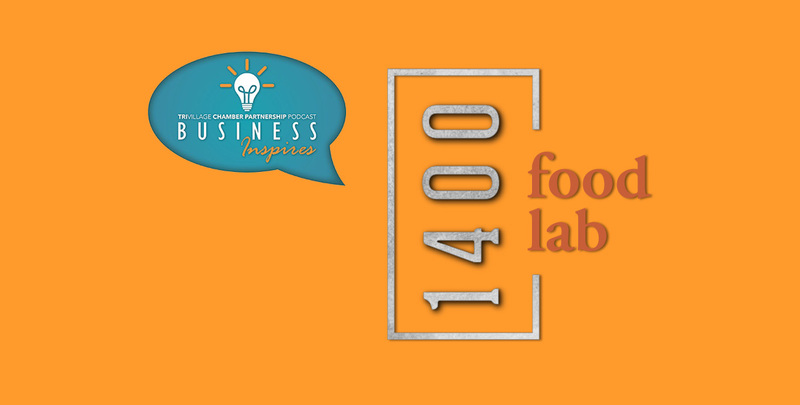 Listen to Business Inspires Episode 10 to hear more about Giunta’s definition of success, the company’s dedication to freshness, and a range of other insights.